Ambergris Caye, Belize (PRWEB) August 27, 2011 - Victoria House, an historic boutique resort located on Ambergris Caye, Belize, was named the 4th Best Resort in Central and South America in Travel + Leisure Magazine’s 2011 Annual Readers Poll as well as one of the Top 100 Resorts in the World. Victoria House is situated on 600 feet of manicured beach, just two miles south of picturesque San Pedro Town. Comprised of 42 accommodations including casitas, rooms, suites and private villas. The resort is set in lush tropical gardens, broad expanses of lawn and swaying coconut palms, four swimming pools and sweeping views of the Caribbean Sea and the Mesoamerican Barrier Reef. Amenities and dining facilities include the award winning Palmilla Restaurant and Admiral Nelson’s Beachside Bar and the Fantasea Dive Shop, located on the 300’ long pier. “Victoria House’s true legacy is our staff. The majority of our employees have been here for better than 10, and some as long as 30 years. These awards are a really tribute to their dedication to serving our guests, many of whom return over and over” said Brent Kirkman, General Manager of the resort. Victoria House also just launched its new website at http://www.victoria-house.com. The U.S. Toll Free Reservation Line is 800-247-5159 and email info(at)victoria-house(dot)com. One of my personal favorites. 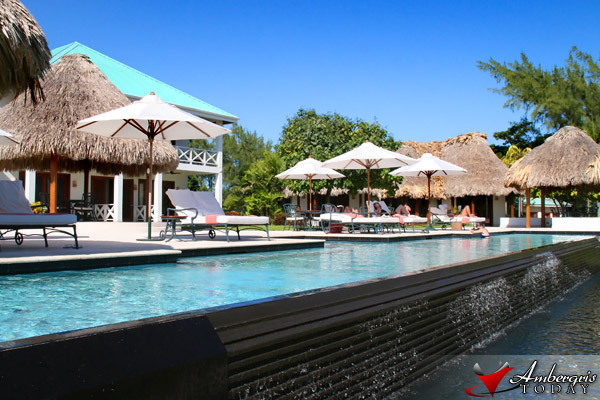 I would highly recommend this resort to anyone who is looking for a first class resort in Ambergris Caye.